Alalum Falls are located along the Sayre Highway and less than a kilometer distance from the Sumilao Municipal Hall. Its imposing grandeur can easily be seen by travelers on motor vehicles. A towering cascade that was once an iconic tourist destination of Bukidnon Province, now in a state of neglect, ignored but never forgotten. Alalum Falls stands at a height of approximately 45 meters, a single layer cascade with a deep circular catch basin. Its cold water emanates from natural springs at the highland of Kitanglad Mountain Range that flows through a network of rivers and streams towards Tagoloan River before emptying to Macajalar Bay. 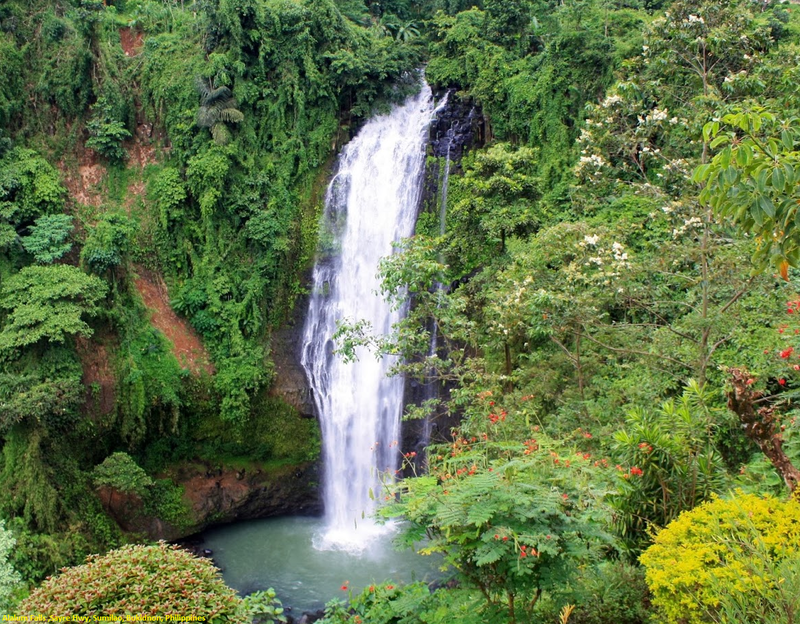 Alalum Falls sits midway between Cagayan de Oro, Misamis Oriental and Malaybalay, Bukidnon.To get here from Cagayan de Oro, just catch a bus from Agora Terminal to Bukidnon or Davao and get off at Alalum Falls or ar the Sumilao Terminal, just beside the Municipal Hall. Travel time is around an hour and fare is P70-P80. The falls is on the left side of the road. If you are coming from Davao or Malaybalay, take a Cagayan de Oro bound bus and get off at Sumilao Terminal or at Alalum Falls on the right side of the road.